メンバーズShow posts in this category. 生活・サービスShow posts in this category. 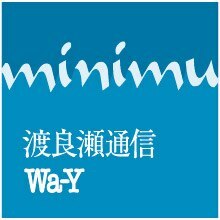 地域別メンバーズShow posts in this category. 桐生・みどりShow posts in this category. 太田・大泉Show posts in this category. 館林・邑楽Show posts in this category. 足利Show posts in this category. 佐野Show posts in this category. Copyright © （有）みにむ・渡良瀬通信編集室 All Rights Reserved.